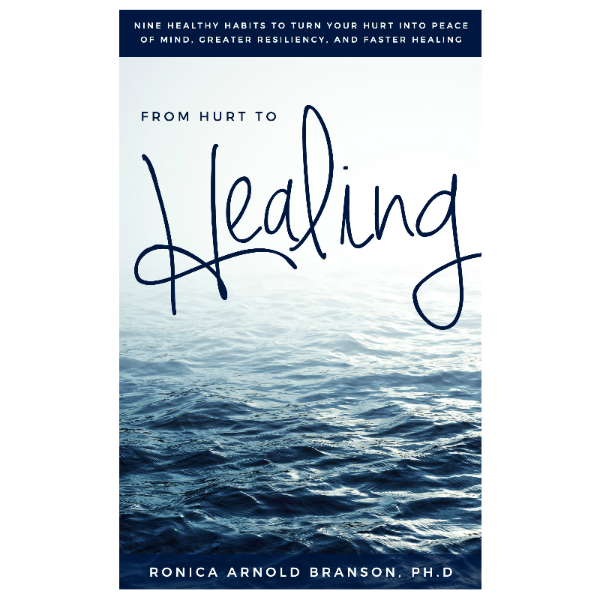 How You Can Cope and Move Forward After Losing a Loved One to Suicide – Ronica Arnold Branson, Ph.D. The loss of a loved one to suicide can hurt on a deeper level and usually because of all the questions left unanswered. This type of loss can leave one feeling overwhelmed with guilt, wondering what they could have done differently and questioning everything they know to be true. While this is surely a difficult time, it’s important to know that you will heal with time; and you can take certain proactive actions to aid this healing process. First, don’t take on blame for the loss of your loved one; instead, surrender this guilt and practice positive thinking. Also, make sure you’re getting the help you need to cope with this loss, whether that’s support from your friends and family or assistance from a mental health professional. Furthermore, don’t forget to laugh if that helps to soothe your soul. Remember that everyone grieves differently: you don’t have to fulfill society’s expectations. 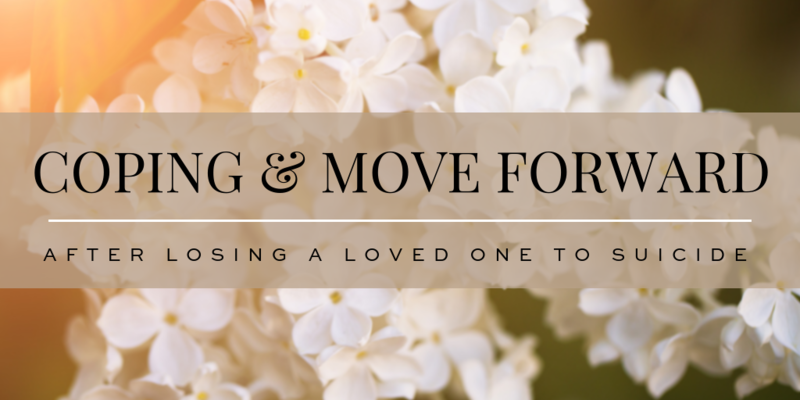 Living through loss and grief can be very challenging, and loss can occur in a number of ways; the death of a loved one by way of suicide might cause some to question what they believe or what they thought they knew to be true. These feelings of overwhelm may cause distrust of self and others or even cause one to question the meaning of life. 1) Don’t play the blame game. Although there are many unanswered questions when a loved one commits suicide, ultimately you were not the one who committed the act. Yes, there could have been warning signs, but you can’t blame yourself for not picking up on them or being there in the moment to save them. Many suicide executors have a plan in place in which how they will take their lives. Once a plan is in place, if help is not received, a very high number of these individuals execute their plan. 2) Practice positive thinking and forgiveness. In order to move forward with your life, to get to a healthier place, we must practice positive thinking and forgiveness. Your thoughts are a very strong predictor of your behaviors. What you think, you become. Happiness does not depend on what you have or who you are. It solely relies on what you think. Our healing lies in our thoughts. Our destiny lies in our speech. What are your thoughts? What are you thinking and speaking into existence? Are you stuck with self-blame, you will have to move one. Are you stuck in shame? Know that it is not your fault. Even though this situation may be very painful, how can you use it or see it as good? Get involved in a charitable group that helps people who have committed suicide, volunteer on a support line, donate your loved ones clothing to someone in need. These acts of kindness can help turn our hurt into healing. 3) Surround yourself with a support system; don’t try to go it alone. No man is an island. Let’s face it, no matter how bad you want to, no matter how much you think you’ve got it taken care of, you need someone else. You are not the only person this has happened to. We were not put here to deal with life on our own. Support can come in many forms. Sometimes when you are hurting or grieving, you aren’t thinking clearly and you don’t see what you need. Take the time to listen to your inner voice and don’t be so quick to push others away. Your gift can be right in front of your eyes. You just might not recognize it yet. The main thing is that you get the help that you need at the most critical time that you need it. Don’t be afraid to ask for help, because there are people who would love to be there for you. Sometimes, we don’t want to open ourselves up, maybe to be hurt again. But in order to live a happy, more peaceful and meaningful life, you must be willing to take that change. You must realize that each person is different and it would be beneficial to you if you would judge each person as the individual that they are: and be careful not to place them into a “group” because of your experiences you’ve had with one person. Yes Laugh. For some it might not be appropriate; for others, it is a much needed remedy. Ever heard the phrase, you have to laugh to keep from crying? This is certainly the case sometimes, especially in cases of complicated grief. No, we didn’t want this awful thing to happen, but let’s face it, it did. We can’t do anything about what has happened in the past. The hurt that we experienced, the pain that we may be currently experiencing; but what we do have control over is our attitude, our responses, and our laughs. We cannot let the thing called hurt and pain consume our lives. We all need joy. Even though you may be hurting, you are committed to healing, and with time, the pain will get a little better. When you acknowledge that you are in pain, the healing has already begun. 5) Remember: everyone grieves differently. Finally, it is important to remember that each person grieves differently. Even though we may live in the same household, or be raised by the same set of principles, we grieve based on our unique qualities and attachments. Our experiences, past experiences, support system, or lack thereof, state of mind, and other influencing factors and life stressors have a major impact on the way a person grieves. Society has put an expectation on us to grieve for two days and get over it. This is unrealistic. You will remember your loved one for a lifetime. The goal is to learn how to adopt healthy techniques that will allow you to move on to a place of peace. Grief is a process. Just like it took time for you to form a relationship or attachment with the person that you are grieving for, it takes time to make re-adjustments to the loss of this person. You will never get “over it”, but you will hopefully learn to effectively manage your life and get back to some sense of normalcy without that person.